Black Legion Aether Master Steamer Sword With Sheath - Stainless Steel Construction, Non-Reflective Coating, Raised Design - Length 24” | BUDK.com - Knives & Swords At The Lowest Prices! 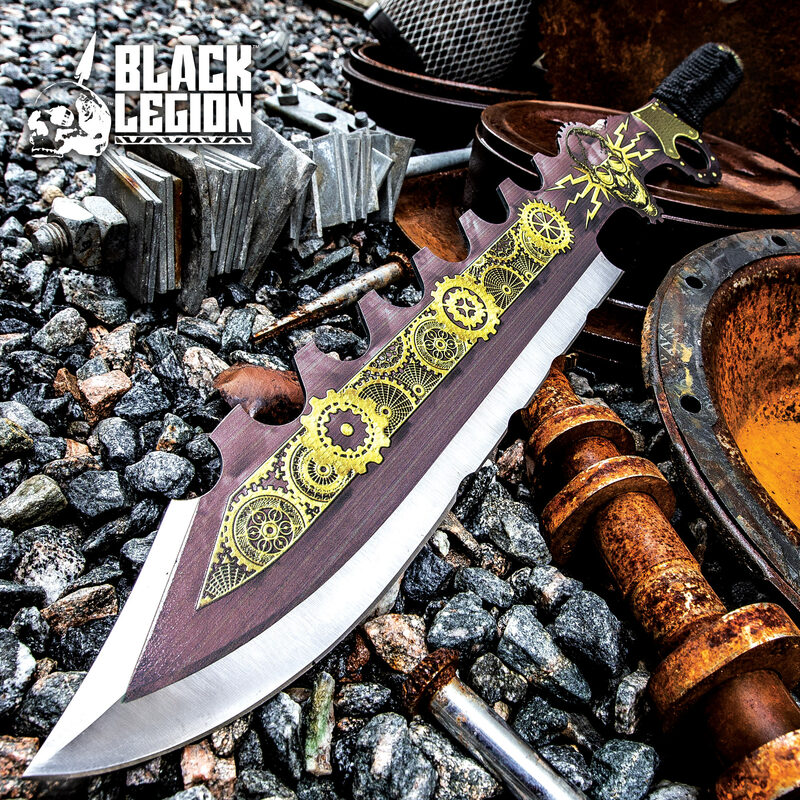 Battling the tangible and intangible with razor-sharp Steampunk style is exactly what Black Legion’s Aether Master Steamer Sword was contrived for, making it a must-have for any self-respecting Steamer! 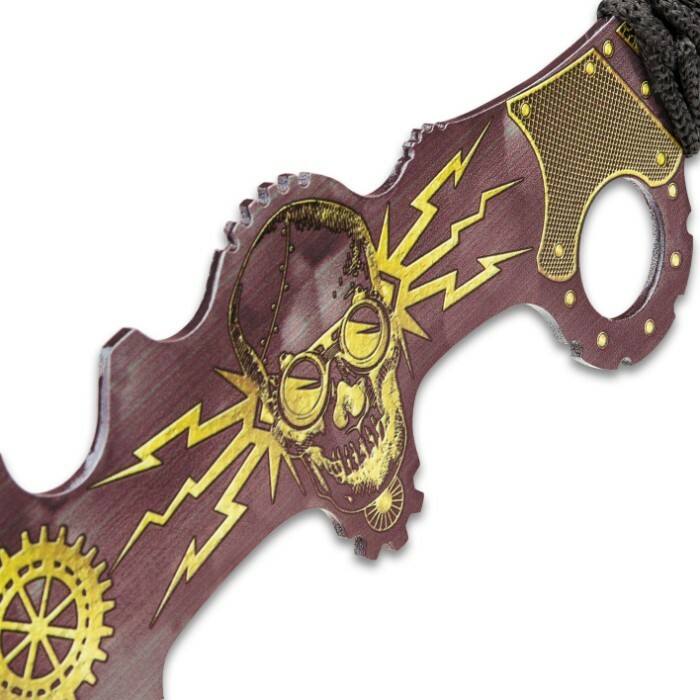 It has a solid, stainless steel construction with a black non-reflective coating with an intricate yellow, raised Steampunk design covering the entire sword. 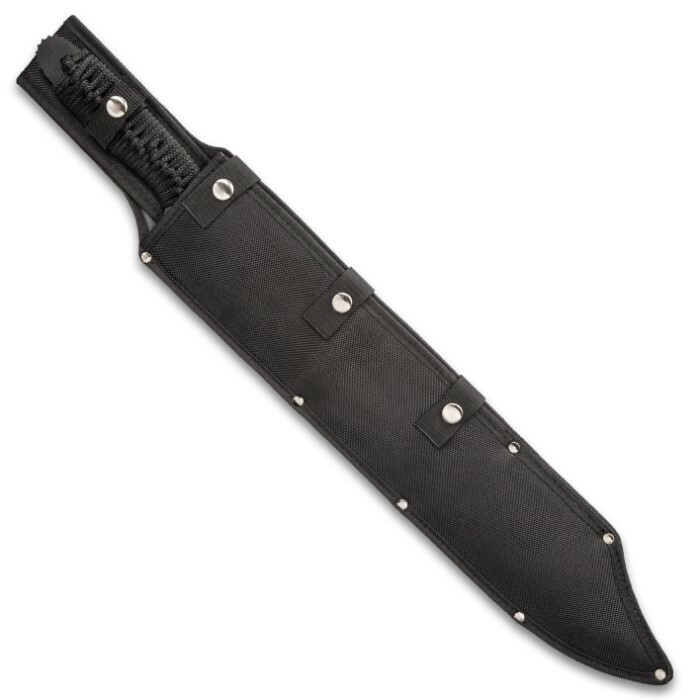 The 12” blade is razor sharp and features cut-outs on the spine and shallow notches on the blade itself, adding to its uniqueness. 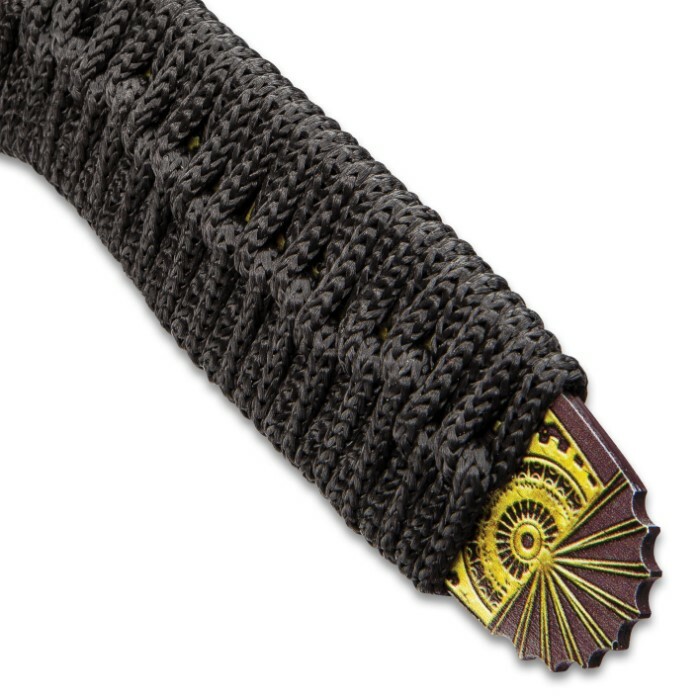 The handle is wrapped in black nylon cord and features an enhanced trigger grip and finger choil and a ridged pommel. 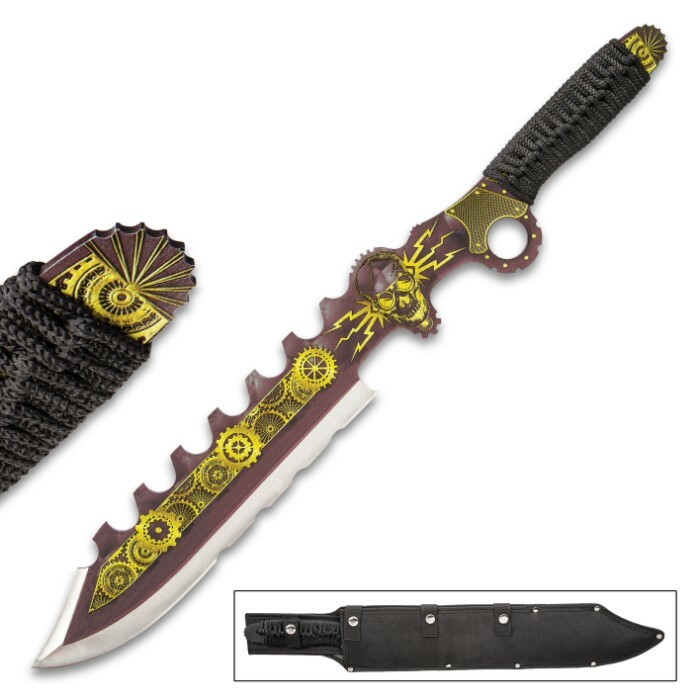 The fantasy sword is 24” in overall length and comes housed in a sturdy nylon belt sheath with snap closures.